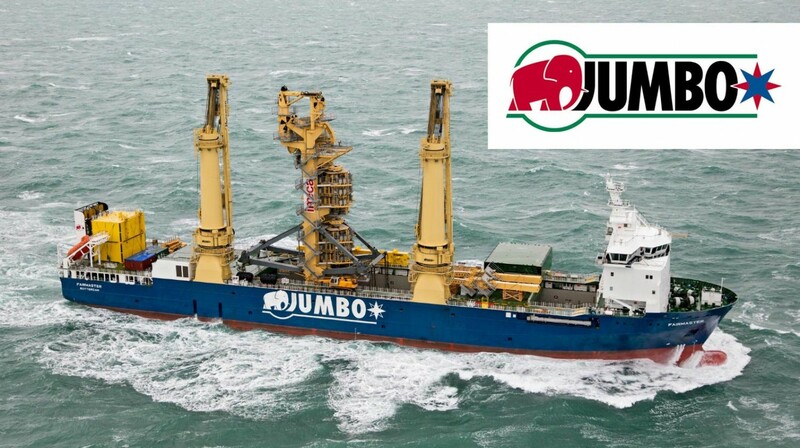 Jumbo is a heavy lift shipping and offshore transportation & installation contractor. Jumbo has been developing pioneering solutions for ocean transportation for more than 45 years. Since 2003, building on our heavy lift capability, we rapidly established a sound track record in the offshore subsea installation market. It is our philiosophy that engineering, safety awareness and environmental care stand at the forefront of a reliable operation. This is why Jumbo has invested – and continues to invest – in the latest state of the art engineering methods, software and equipment and has developed its in house safety awareness program “Stay Well”. Today we operate a fleet of 12 specialised heavy lift vessels with a lifting capacity from 500t up to 1,800t. To cater for ever increasing industry demand a new generation of vessels is under construction with record breaking lifting capacity of 3,000t. Two of our J-1800 class vessels are equipped with a DP2 system, enabling them to provide transport as well as offshore installation services.